Small Business Saturday - Authors, illustrators and gifts! Yelfred and Omek have been best frints since they were little blobbies. They play and snack, and sometimes they even fight, all in a language similar to but slightly different from, English. When Omek decides to borrow Yelfred's new spaceship without asking (and then crashes it), it sparks the biggest fight yet. Can these two best frints make up and move on? 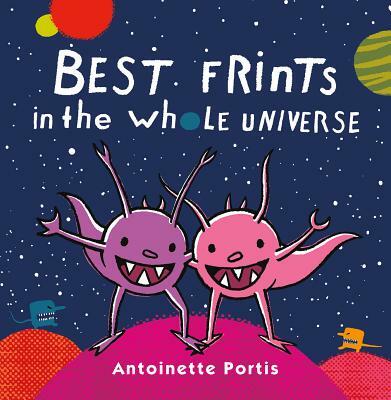 Award-winning picture book creator Antoinette Portis delivers a new universe of cleverness and imagination in this hilarious, sweet, and otherworldly book about friendship. Antoinette Portis is the author of many inventive books, including Not a Box, a New York Times Best Illustrated Book and a Geisel Honor Book. She is the recipient of a Sendak Fellowship. Froodle is her first book for Roaring Brook Press. Ms. Portis lives in southern California.